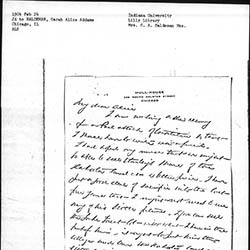 Subject is exactly "property ownership"
Keene writes Marvin regarding the price of the Addams farm. 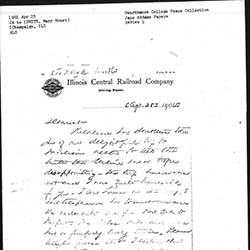 Goodridge offers to sell Addams some land he owns on Lake Michigan for use for a boy's camp. 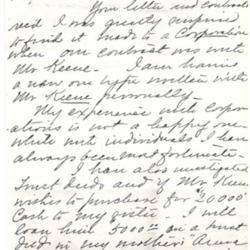 Addams discusses the sale and maintenance of her farm property with Marvin. 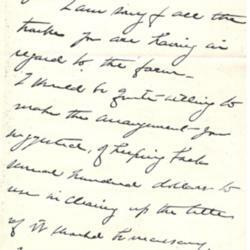 Addams has been trying to sell family farmland for six years without any buyers. 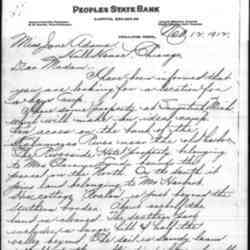 She also recently saw Marcet Haldeman. 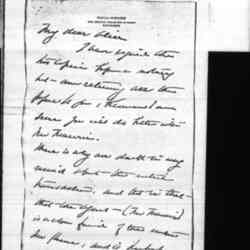 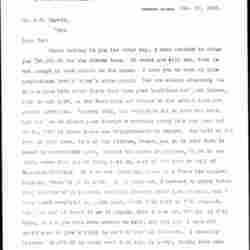 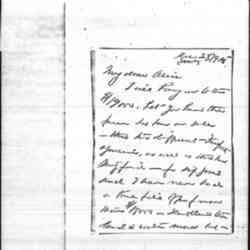 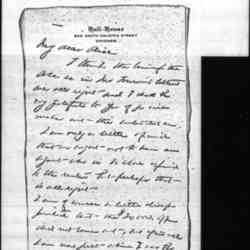 Addams writes Haldeman regarding selling Stanley Linn's land for him, his health and summer plans, and invites her sister to attend her speech. 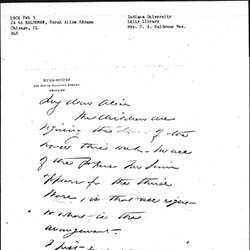 Addams writes Haldeman about the sale of some Addams family property. 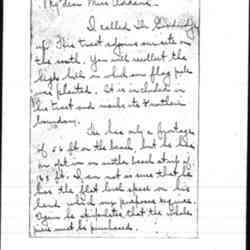 Addams returns sales contracts to Haldeman and wonders about the relationship between the seller and agent. 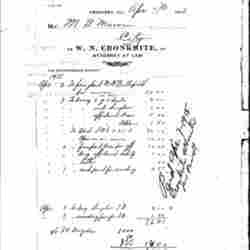 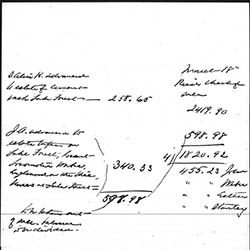 Financial records explaining the property values of lands held by the Joseph T. Bowen Country Club and the Hull-House Association. 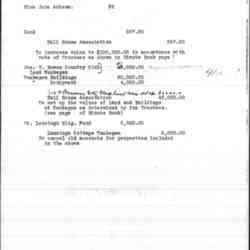 Johnson writes Addams about land for sale on which to develop a camp for boys. 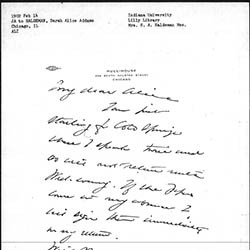 Haldeman discusses contracts and corporations with Marvin regarding Addams family properties. 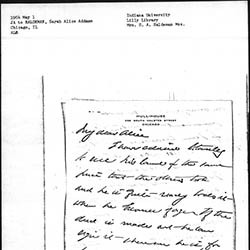 Haldeman directs the sale of Jane Addams' property in Stevenson County to Freeman Keene. 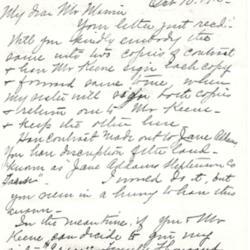 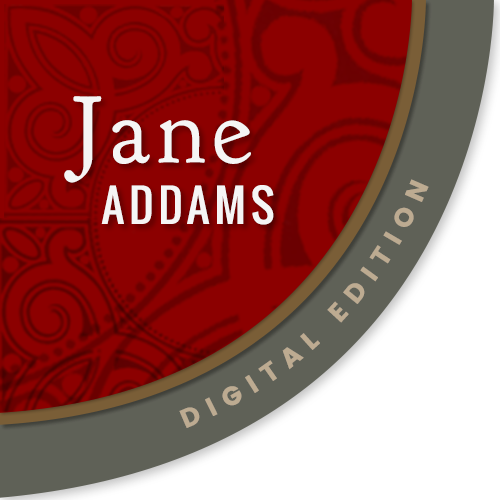 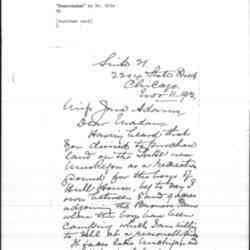 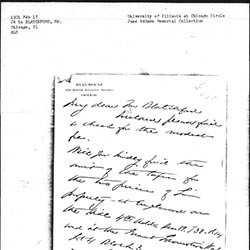 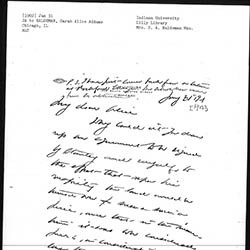 Haldeman sends Marvin a contract for sale of lands owned by Jane Addams. 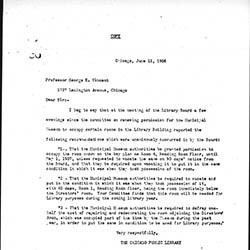 Wickerman lays out three stipulations the Municipal Museum must follow to borrow a room in the Library Building. 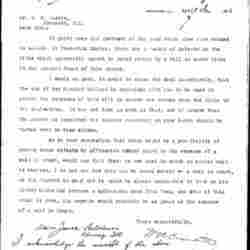 Bill from Cronkrite to Marvin for managing Addams' land issue. 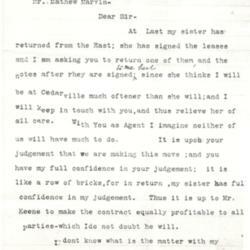 Cronkrite informs Marvin about Addams land dealings.